This Left-hand Drive Carpet is Endura-Wear 7-Piece Carpet Kit with Grommets, with your choice of binding style (yarn, vinyl, or cloth) for the 1962 thru 1964 VW Beetle Convertible. Right-hand Drive Carpet is not currently available. TMI Products Carpet Kits are the industry leaders, used for professional restoration, and include a limited lifetime warranty. These carpet kits are for the convertible only. If you have a sedan, please choose that model instead. Vinyl binding is black by default; if you would prefer Grey vinyl binding, please indicate that with your order (price is the same). 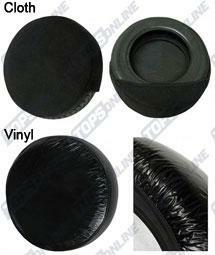 This product is a trunk kit without tire cover, 1 piece (with flat tank).